The law of reciprocity means that when someone does something nice to you, you feel compelled to do something nice in return. For example, someone holds a door open for you, and you feel compelled to say thank you and smile. Yes, this is also good manners too, but for most of us feel that we want to say thank you as someone has done something nice. If someone gives us a gift out of the blue, we might feel compelled to think of something we can give them in return. 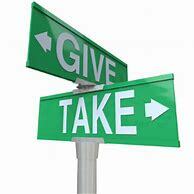 Obviously there are takers in life who take everything and give nothing in return. As my Dad used to say, they wouldn’t give you last year’s wet Echo (Liverpool newspaper). Is this because of the beliefs and values they have been brought up with, or is it that they just think they don’t need to do anything for anyone else? I heard the other day from a friend that he had tried to help a woman up some steps in London who had a pram. She screamed at him to get his f*****g hands off her pram, and then turned to her friend and said, ‘That told him’. Yes, she may have had her reasons, but that was not only plain rude, but ignorant of the law of reciprocity. My friend was really hurt by her abuse, but I know he will continue being kind. You don’t always have to give something back to the person who is kind, but can pay it forward. Leaving some money to pay for someone’s coffee or even a meal. It’s the kind gestures in life that can keep us ticking over. We feel better when we are kind, it increases our levels of dopamine and oxytocin, those feel good chemicals, and makes life easier. The law of reciprocity works in so many ways. Good salespeople use it because not only does it create sales, but it creates good relationships. And isn’t that what life is about? All the relationships we have, all those one to ones.